Attorney General: Phil Weiser (D) won over George Brauchler (R). Secretary of State: Jena Griswold (D) defeated incumbent Wayne Williams (R). Treasurer: Dave Young (D) won over Brian Watson (R). Amendment 73 Failed. Would have increased funding for public schools in Colorado by increasing some individual and corporate taxes. Amendment 74 Failed. Would have required property owners be compensated for any reduction in property values caused by state law or regulation. Amendment 75 Failed. Would have changed some state campaign contribution restrictions if a candidate gave $1 million or more to his or her own campaign or third-party committee. Amendment A Passed. Removes language from the Colorado Constitution allowing slavery and involuntary servitude as punishment for a crime. Amendment V Failed. Would have lowered the age qualification to serve in the state legislature from 25 to 21. Amendment W Passed. Changes the ballot format for judicial retention elections. Amendment X Passed. Removes the definition of “industrial hemp” from the state constitution. Amendment Y Passed. Creates an independent commission to redraw congressional boundaries after the 2020 census. Amendment Z Passed. Creates an independent commission to oversee state legislative redistricting after the 2020 census. Proposition 109 Failed. Would have allowed the Colorado Department of Transportation to issue $3.5 billion in bonds for more than 60 road work projects across the state. Proposition 110 Failed. 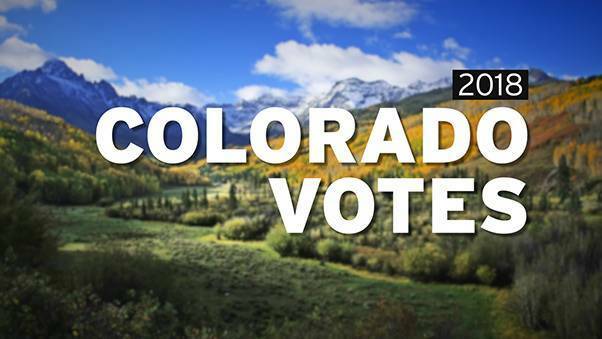 Would have increased Colorado's sales tax from 2.9 percent to 3.52 percent fund bonds for transportation projects. Proposition 111 Passed. Reduces and caps the annual percentage rate a payday lender can charge, and expands what constitutes unfair or deceptive trade practices. Proposition 112 Failed. Would have required new oil and gas development not on federal land to be at least 2,500 feet back from homes and certain "vulnerable areas" like playgrounds, lakes and rivers.